All classes begin the week of January 23, 2017 and continue for 8 weeks. 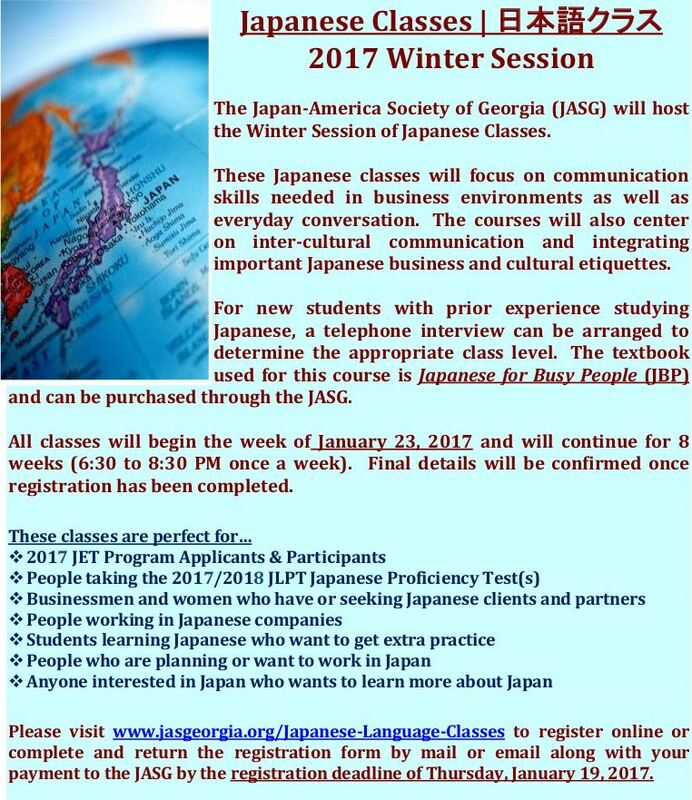 Classes are held from 6:30pm – 8:30pm at the JASG office located at 3121 Maple Drive, Suite 224, Atlanta, GA. Please note, meeting time is subject to change.